With the Rising Star Football Trophy you can acknowledge the entire teams hard work. 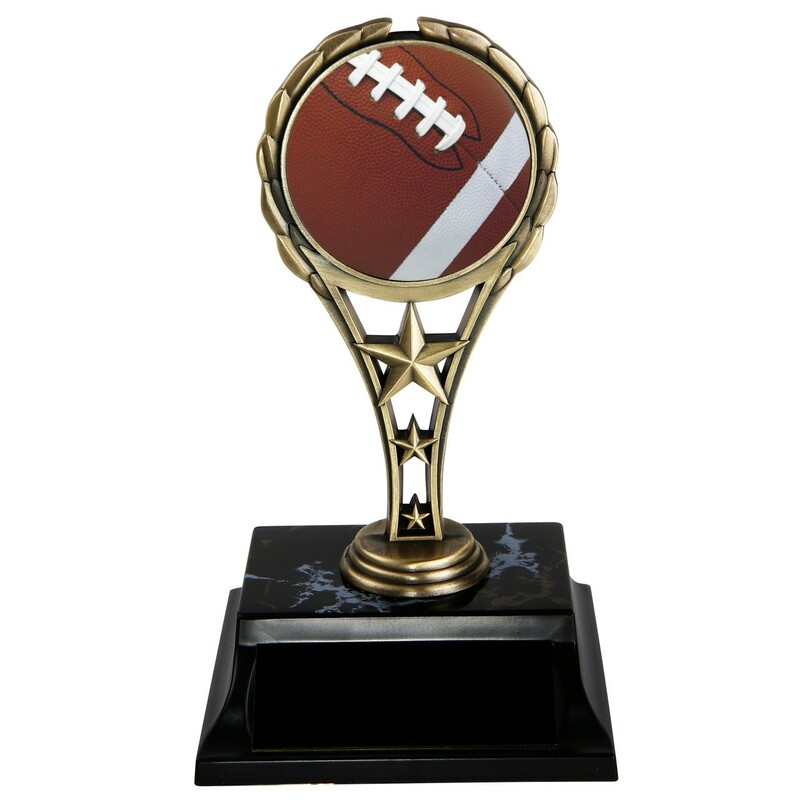 This 7" football trophy features a gold metal figure with an insert of a realistic, full color football. Price includes 3 lines of personalized engraving.